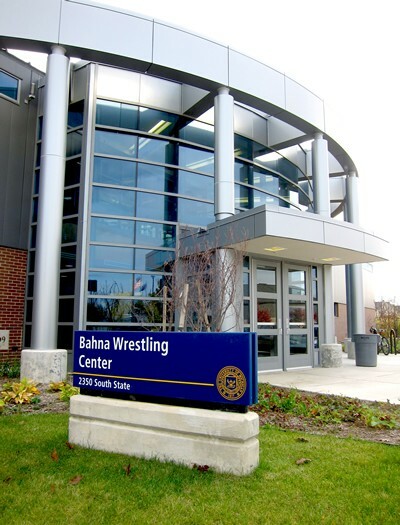 Wrestlers and visitors are warmly greeted by a two-story entrance showcasing a Hall of Fame, providing a strong and highly identifiable image for the wrestling program. 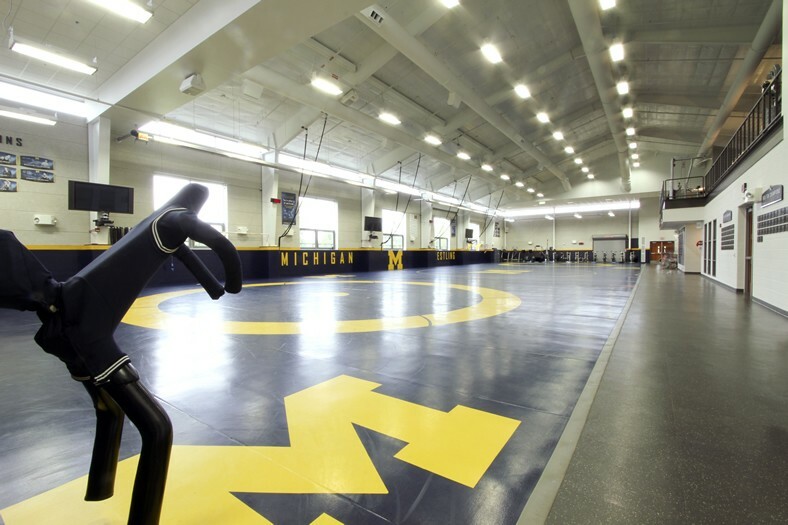 The 20,000 SF wrestling facility includes a two-story indoor practice space with three regulation sized wrestling rings. 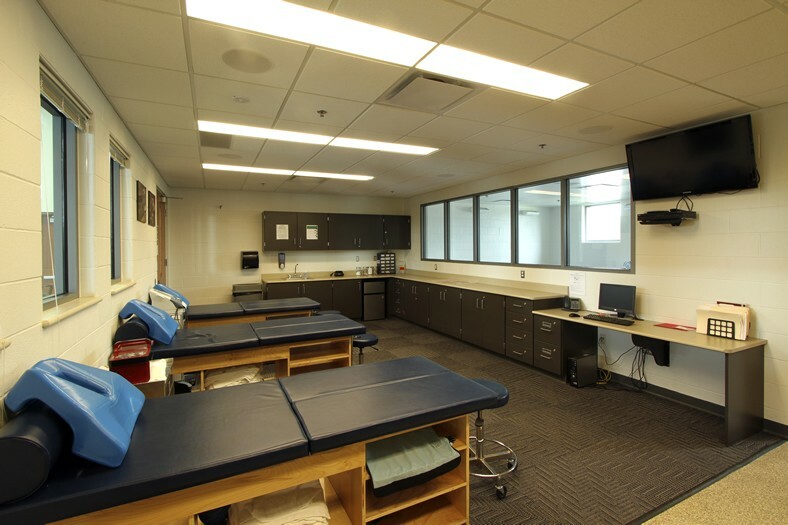 The new center also features a player lounge, team locker room, training area equipped with hot and cold therapy tubs, coach’s offices and lockers and a weight fitness space that overlooks the main practice area. 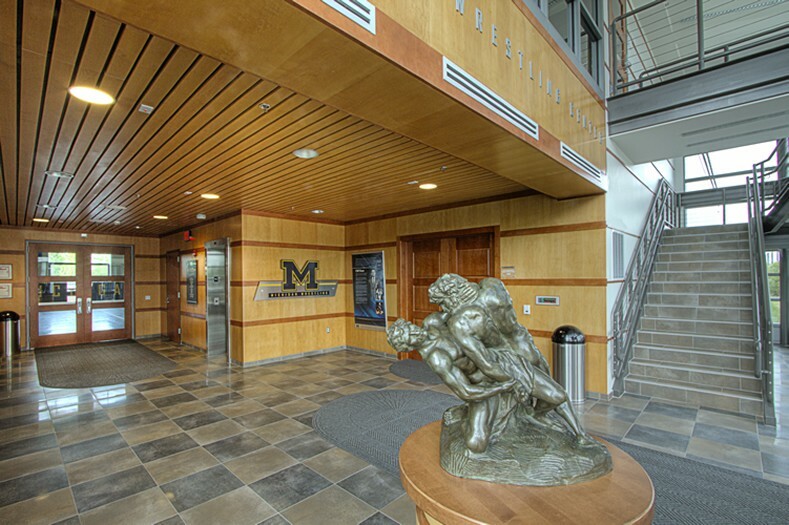 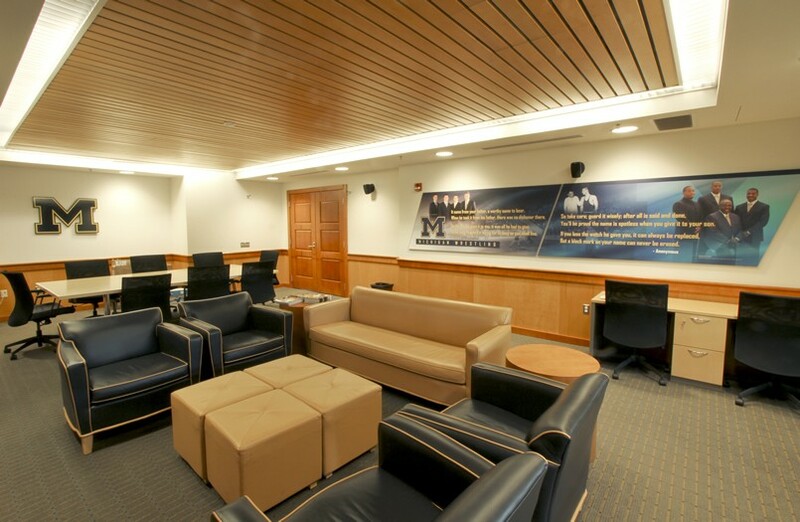 The main practice hall, formerly housed in a windowless and cramped space within Crisler Arena, is naturally lit with large picture windows facing a wooded area on the site. 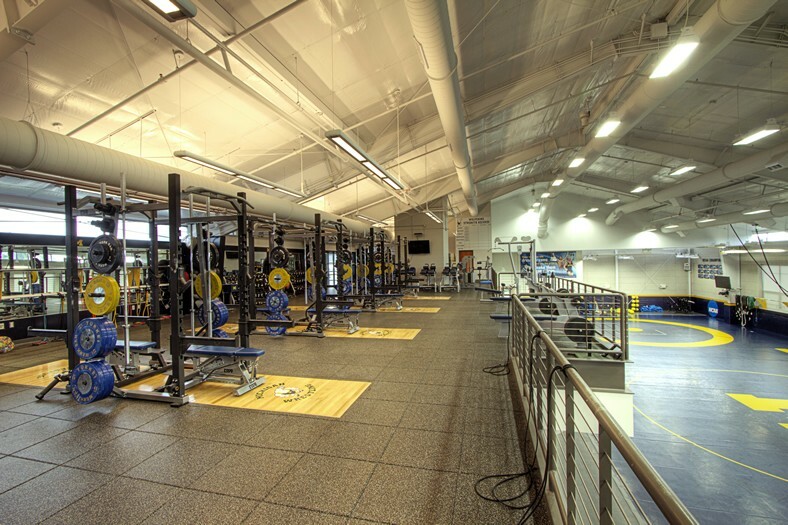 This configuration reduces the need for artificial light sources and provides a more pleasant environment for training.